The picture above is a diagram of the Taoyuan Airport, Taipei, and as you can see in the diagram, some taxiways are named with two characters like “NC, NP, WC.” My question is: Is there any good reason, if any, why some taxiways are named with two characters when, clearly, there are other single letters still available? Coding the taxiways this way makes it easy to create mnemonics. Note that from northwest to southeast, the first letters are alphabetically increasing. From southwest to northeast the numbers are increasing. The combination of a letter and a number gives a good indication of the location of the taxiway. Every taxiway close to the northern runway (5L-23R) is named Nx, everything close the southern runway (5R-23L) is called Sx. Numbering is from southwest to northeast, so N1 is close to the northern runway, at the west end (5L); S10 is the southern runway close to the eastern end (23L). The apron side of the N taxiway is where you park, and called NP. You cross on the east of the terminal on the eastern crossing or EC, or you cross on the west side of the terminal on WC or W2. 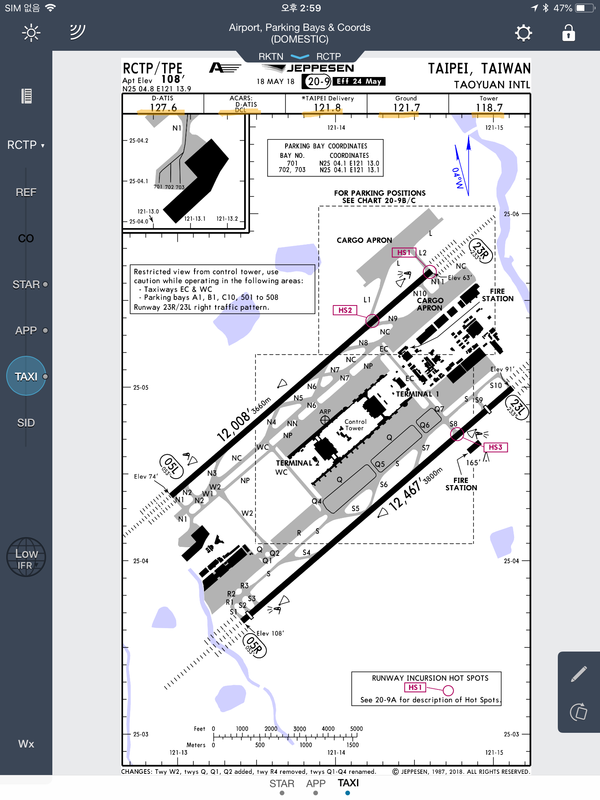 When you see NC (or WC,SC or EC) you would expect a cross taxiway.. eg..north cross. When more than 1 crossing to the north of the terminal then NC1/NC2. Why are airport firetrucks painted yellow green?